I’m taking some time off from writing this weekend. I’ll be back tomrrow night with some thoughts. In the meantime, I’ve added 3 new links to my relatively small blogroll. 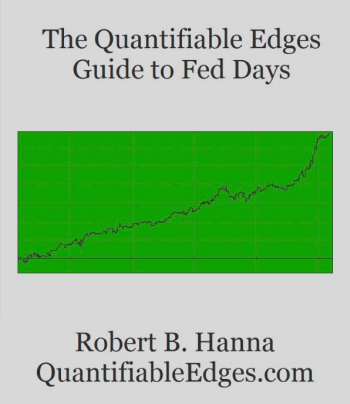 1)bzbtrader – Much of the focus on this blog has to do with short-term QQQQ trading. His “Weekly Updates” provide a nice overview of the market with some interesting indicators. 2) Chart Swing Trader – Market analysis with an IBD tilt. What I most enjoy about Chart Swing Trader is that he posts many charts and individual stock ideas. Few bloggers seem as willing to share their watchlists as extensively as Chart Swing Trader. 3) IBDIndex – A blog not even a month old, the IBD Index takes a quantitative look at the IBD 100 Index. Complete with backtesting of IBD style trading ideas this blog has a few gems already. I’m looking forward to seeing results of the “Future Testing Ideas” listed on this site as well.